You've probably seen the ads for debt settlement companies. They claim to help you get out of debt. But, reports "Early Show" consumer correspondent Susan Koeppen, some are cashing in - and they're not helping their clients. 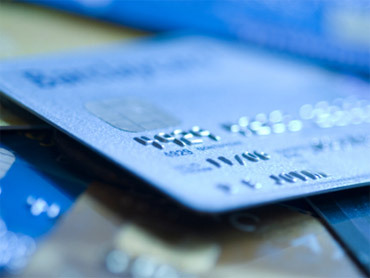 Consumer advocates across the country are being flooded with complaints about some debt settlement companies, Koeppen points out, with millions of Americans deep in credit card debt. So, stresses Koeppen, be careful whom you turn to for help. Koeppen told the story of one Minnesota couple claiming they wound up worse off after dealing with a leading debt settlement company, Credit Solutions of America. The company disputes their story. But Illinois Attorney General Lisa Madigan tells CBS News the debt settlement industry, as a whole, is targeting vulnerable consumers. "You would be more likely to settle your debt by buying a lottery ticket than by signing up with a debt settlement company," Madigan says. Madigan has filed suit against seven debt settlement companies in the last year, and is one of six attorneys general targeting Credit Solutions of America, with allegations including "fraudulent, deceptive, and illegal practices" and "false advertising." "We want them out of business, she says. "We don't want debt settlement companies to be in a position to rip off people, hard working people who, in this economy, are really struggling." In statements to CBS News, Credit Solutions claims to have "helped more than tens of thousands of U.S. consumers" and " ... settled over $1.2 billion in consumer debt." What should consumers struggling with credit card debt do? First, advises Koeppen, consider negotiating directly with creditors. You can also seek help from a non-profit credit counselor through the National Foundation of Credit Counseling. Also high on the caution list, Koeppen points out: companies that want to charge you a big fee upfront, or pay a lot of fees. Also be wary of ones that guarantee they can help settlem your debt, and ones that tell you to cut ties with your creditors and stop paying your bills.